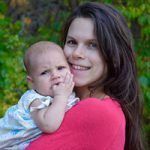 Category Archives for "Postpartum Anxiety"
Postpartum anxiety often goes undiagnosed in new mothers since it’s not often accompanied by depression. Fortunately, there are a number of herbs, supplements and techniques that can relieve the unrelenting worry that comes with postpartum anxiety. Postpartum anxiety lends to racing thoughts, and a driving compulsion to be constantly moving. Breathing exercises require coordinating movement and breath, a balance that necessitates focused attention and feels like “doing something.” Tuning into the mind-body connection, even for a moment in the midst of chaos, can melt tension as your awareness settles into your breath and your body. Belly breathing is particularly grounding, gentle, and easy. It is accessible anytime, anywhere! Before we experiment with belly breathing, let’s look at your current breathing pattern.